Lu'isa Mafi (aged 7) was successfully operated in the Royal Children's Hospital on Tuesday 29 April without complications. 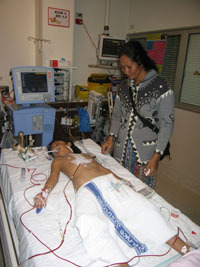 Lu'isa was transferred to the ICU ward at about 7 p.m. last evening and I was able to be with her briefly at that time. The two mothers with the other girl (Elisi) and Rev. Iki went to the Rotary Club meeting at Sandringham and arrived back at the hospital approximately 8:30 p.m. Lu'isa mother also had been fasting all day and I relayed a message to the Sandringham R.C. President that the operation had been successful and the Rev Iki tells me that the mother gave a great sigh of relief and demolished a plate full of food. 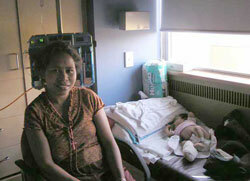 When Lu'isa was be transferred to the ward, and Jill and I were at the hospital. 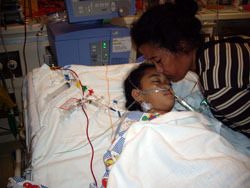 Below is a photo of mother greeting her daughter Lu'isa in ICU. This is what ROMAC is all about! Elisi Halafuka (12 years) went into the operating theatre at 1 p.m. Thursday and at 9.15pm I received a phone call from the surgeon informing me that the operation had just finished and he was very satisfied with the result. They were pleased that they were able to repair the main heart valve and therefore did not require an artificial implant. Repairs to the other valve was also successful. At 9:30 p.m. myself & Rev. Iki took mum back to the hospital and she was able to see her daughter at 10:15 p.m. A great result. 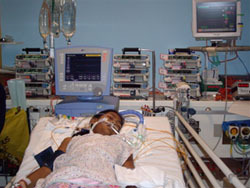 Attached is a photo of Elisi in ICU. Some volunteers for hospital visits next week would be appreciated. Anna. is 10 week old and very seriously ill child. Mum sits by her bedside. 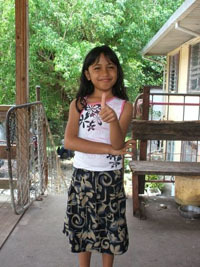 Richmond Rotary Club looked after Fakapelea, and it is wonderful that she made such a recovery. Her parents were very appreciative of our Rotary Club support, especially that of the Hosking family. A copy of the letter from Fakapelea's father is below. Two photos show Fakapelea in I.C.U., and, some months later, back home and very cheerful. Big day at Royal Children's as two Melbourne Storm rugby players visited our patients. Many thanks to Iki Katoanga who arranged this. Our ROMAC kids were over the moon. Our Rotarian John Benger with an engaging sense of humour, said that the two heart patients have been warned that if they get good enough to represent their country at rugby, and play Australia, that we have a built in a special device that reverses the heart operation. 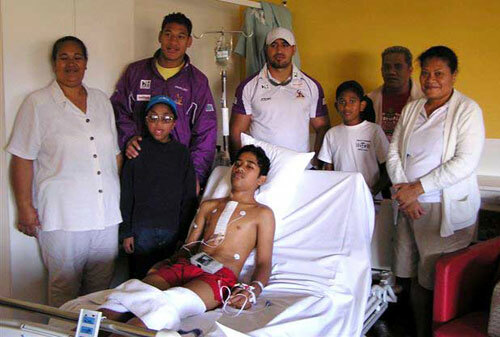 Picture shows the carers, the two Rugby Storm players, and ROMAC patients are open heart (on bed) from Tonga, cranio facial (in cap) from PNG. And the would you believe the little boy standing had open heart surgery less than a week ago and will probably be off back to Tonga next week. We are proud of the leadership of our member Rotarian John Benger, Chairman of the Southern Region for ROMAC, and his dedicated team of helpers from many other Rotary Clubs. John co-ordinates with medical professionals including our member Dr Janice Peeler to expedite the arrival and treatment of ROMAC patients. John has a quirky sense of humour and achieves instant rapport with the children arriving for life-saving or life-enhancing treatment from many Pacific and Asian locations. 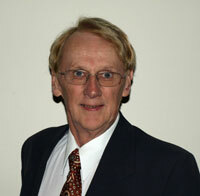 We are pleased to have the opportunity to help John in his voluntary and time-consuming task. Our Rotary workers rejoice in assisting with the task of returning health, joy and acceptance to our Pacific Island children being treated free by Melbourne specialist surgeons. It is also very satisfying to receive recognition from the Government of Tonga. See letter. ROMAC aims to provide medical treatment for children from developing countries in the form of life saving and/or dignity restoring surgery.  Outstanding speakers at our weekly luncheon meetings.